February 2017 is probably going to be a month of change for you. The motivation for your new year’s resolution will have slowly but inevitably decayed into nothing, and maybe you’ll be taking your last step into Europe as an EU citizen. One thing remains constant though: the cold. The gigantic claw of old Mother Winter always has the UK in her grips come February, and after three prior months of soul-sapping car defrosting, you’ll probably have had enough. Well, this Dickensian winter is far from universal and you’ll find so many better options just a few hours from home, ideal for a walking holiday in February. So, where’s hot in February? Synonymous with sunshine, these seven islands occupy a unique and prosperous position as Europe’s most southerly islands. Sharing a latitude with Egypt and Florida spells toasty weather for this autonomous Spanish archipelago and the fact that they have to look north to see the top of Africa gives them a special, isolated, tropical paradise sort of feel. No wonder then that the thermostat reaches an unprecedented 18°C on average during February. It’s also no wonder that this group of islands is considered one of the best places to visit in the cold snap. 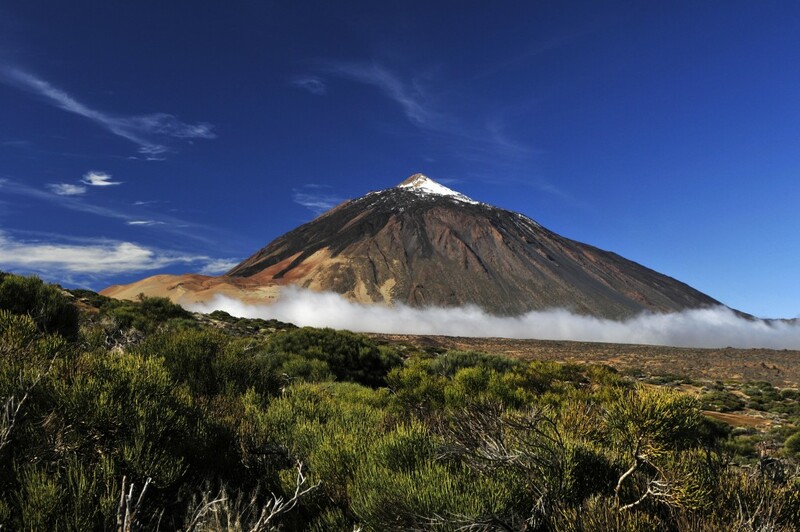 The forests and mountains may fall by the wayside when the glorious beaches are the first that spring to mind, but the islands are teeming with everything; with the volcanic landscapes of Mount Teide on Tenerife and the laurel cloud forests of Tenerife, La Gomera and La Palma proving world-class and unbelievably rare. Just a little north of this unique archipelago is another…ahem, unique archipelago, this one belonging to Portugal. 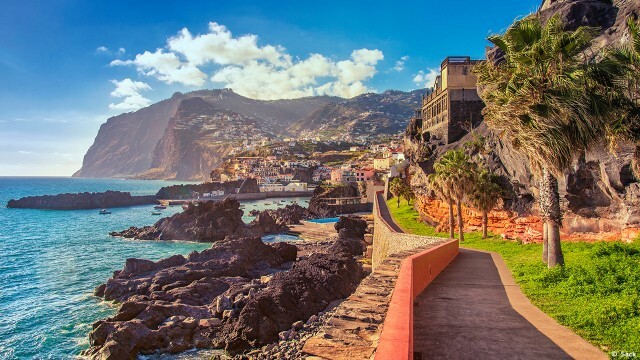 Madeira is the understated little brother of the Canary Islands, with many opting for the latter because of its world-renowned beauty and diversity. Well, if it means that Madeira remains a subtropical, untouched gem, we’re all for that. With temperatures around 20°C, you’ll find plenty of warmth in every nook and cranny of the island, as well as a wealth of scalable mountains, a lava-heated rock pool, a tropical garden, some incredible birdlife and yes, another laurel cloud forest. The real attraction of Madeira is the truly unique system of levadas; ancient aqueducts still used today for irrigation purposes as well as a fantastic system of walkways that penetrate said nooks and the aforementioned crannies. Mainland Portugal is a well-known haven of sun and wine that still sees less tourism than neighbouring Spain, despite some of the most consistently long sun hours on the continent. 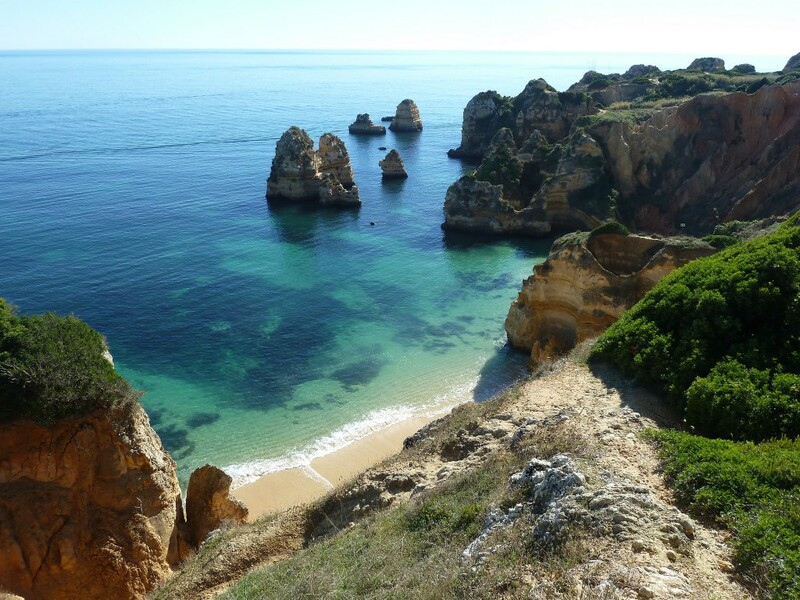 The Algarve has amassed a deserved reputation as a fantastic family-friendly destination, with a penchant for the safe, the fun and the outstandingly beautiful. All of which can be found at its phenomenal beaches, lined with pink-almond blossom and washed in unadulterated sunshine throughout February. These really are the star attraction of the Algarve and possibly all of Portugal, earning enough awards to earn them the moniker “the Jack Nicholson of the beaching world”. Spanning the gamut of sandy, massive, hidden, historic and totally unblemished are beaches such as Falésia, Marinha and the hugely charming Manta Rota. Walking through the Algarve you’ll experience fabulous wildlife, the city of churches, Tavira, mountain ranges offering spectacular views and pretty villages. Of course, Europe is not the only continent in the world. Central America occupies a cosy pocket of the globe that enjoys the near-to-equator tropical warmth without the on-the-equator oppressive heat. A very comfortable 27°C is the average in February but there’s so much to do in this stunning country that you might have to leave now if you want to finish everything by the start of March. February also heralds the mid-point of the dry season in Costa Rica, meaning you couldn’t be at a further point in time from the rains. 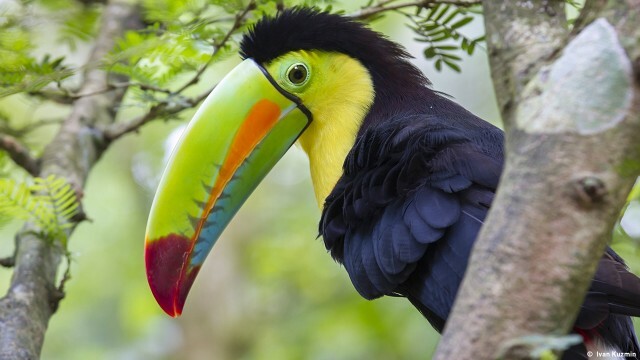 It’s prime season to go and explore the vast array of natural assets that tower above and bubble below its surface, like the iconic Arenal Volcano, the unbelievably green Chato Volcano, the mighty La Fortuna waterfall, Monteverde Cloud Forest and the incredibly expansive Corcovado and Tortuguero National Parks. Not forgetting the fantastic wildlife: tree frogs, iguanas, spider monkeys and more than 850 species of birds! 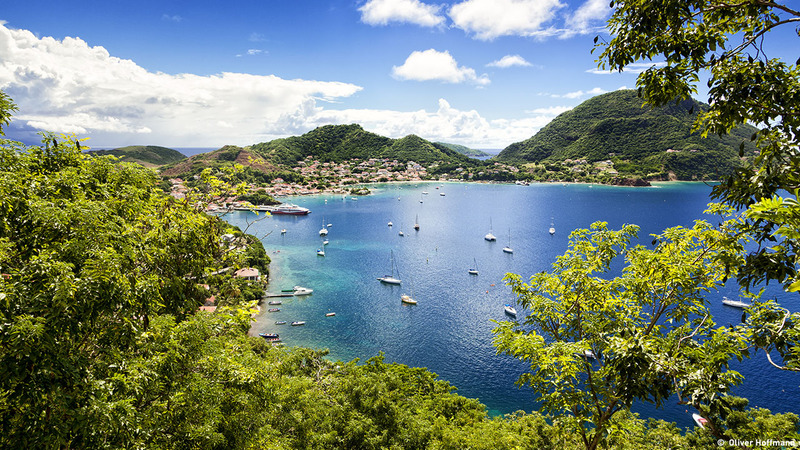 Tucking themselves neatly within the pocket of former Dutch and British colonies in the tropical Caribbean spine, Martinique and Guadeloupe are the largest islands in the former French colonies in the Caribbean and are the best examples of how not to completely ruin a country with colonialism. The Créole roots are still very flagrant and very flamboyant on these islands and they have fused beautifully with the French influence to create some wonderful architecture and some very special food. Your food will stay nicely heated in February under the big yellow heat lamp in the sky. The average temperatures at this time of the year in the French Caribbean are about 25°C and there’s not even a hint of rain. The Guadeloupe National Park is a biosphere of beauty and hive of concentrated preservation efforts. This comes alive in February when the landscapes become caked in natural sunlight, as do the multitude of bays and their sparkling coral reefs within. So, you now want to escape early next year and explore a destination on foot? All the above offer the perfect combination of sun, great walking trails, flora and fauna and fantastic scenery. Gozo – an unspoilt Mediterranean island with a temperate year-round climate, perfect for exploring on foot. Gran Canaria – a volcanic island with extraordinarily different landscapes: lush green forests, towering mountains and white sandy beaches. Andalucia – Moorish white villages, caves at Nerja and Natural Parks, all waiting to be discovered.